The history of the taco is somewhat illusive. While we have records of the tools and materials used in many of the foods of Mexico, it is far harder to prove when exactly certain ingredients were combined. People weren’t exactly writing about their diet in diaries. However, we do know the history of tortillas pretty well, and we can assume that where there were tortillas, someone was probably using them as a taco. The domestication and widespread use of corn can be traced back around 9,000 years ago to southern Mexico. As one of the earliest cultivated vegetables, corn was used all across the region and was quickly adapted into what we would come to know as tortillas. Though tortillas were eaten for thousands of years, it wasn’t until the Aztecs came along that we had any proof that they were being used for tacos. It is believed that Aztecs (1428-1521) ate several tortillas with every meal, and there are some records that help support this. But more importantly, this nearly 100 year period is when we got our first written account of the food that would become tacos. The earliest anthropological record of tacos dates to the 15th or 16th century in the Valley of Mexico. It is believed that the indigenous people of the lake region ate tortillas filled with fish (meaning the first taco could be a fish taco!). There are writings from when the Spanish arrived in 1517 and enjoyed a feast of tacos, so we know that the native peoples had been eating them long enough for it to be a tradition they shared with the conquistadors. However, some believe the term was first coined in Mexican silver mines, as the term tacos de mineros (miner’s tacos) appears in the late 19th century and is the first example of modern use of the term. Whether it was 9,000 years ago or 500 years ago, what is certainly true is that tacos as a dish have constantly evolved and changed. For natives of South America, a taco is always a corn tortilla, it is not fried, and it is rarely served with things like lettuce and cheese. Instead, it is often garnished with onions, guacamole, salsa, or other sauces. Since the origins of the corn tortilla, the taco has been endlessly articulated and adapted to suit environments and populations though. 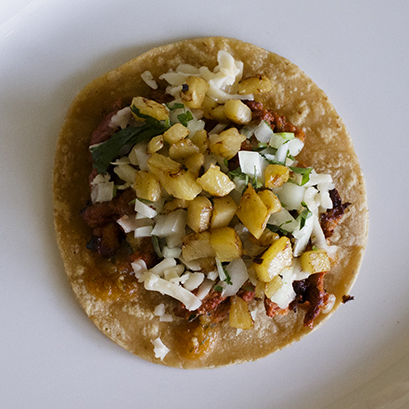 For instance, flour tortillas are a relatively recent addition to variations on tacos. Most of Mexico was not cultivating wheat until they began interacting with the Americas and trade opened. This is one of the reasons that ‘American tacos’ are more commonly larger and use flour tortillas whereas most Mexican people would shake their heads at such an idea. Even more bizarre to them would be the trend of frying taco shells. While the fried shell has become common across much of America, it was definitely not invented in Mexico. Like the original taco, it is hard to say when the ‘hard-shell’ tradition of tacos started, but some experts believe it came from none other than Taco Bell founder Glen Bell in the early 1960s. Bell needed a way to mass produce tacos and frying and storing shells was far more efficient than cooking them on-site. Thus, the American taco was born. Nowadays, there has been a resurgence in traditional, Mexican tacos, but millions of Americans still know and love fried shell tacos or flour tortilla tacos with lettuce and tomato. Here at Benny’s Tacos, we don’t take sides. 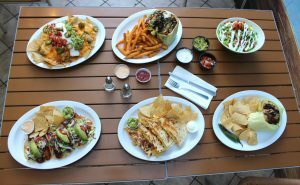 As long as it is delicious, that is all that matters, and we offer a variety of tacos that blend the old and the new. Check out our menu today! If you’re craving a quick, delicious Mexican meal and look past the burritos and tacos there’s one option that stands out: the quesadilla. Quesadillas are a staple of Mexican family kitchens everywhere and because of their broad appeal they have evolved tremendously over time. 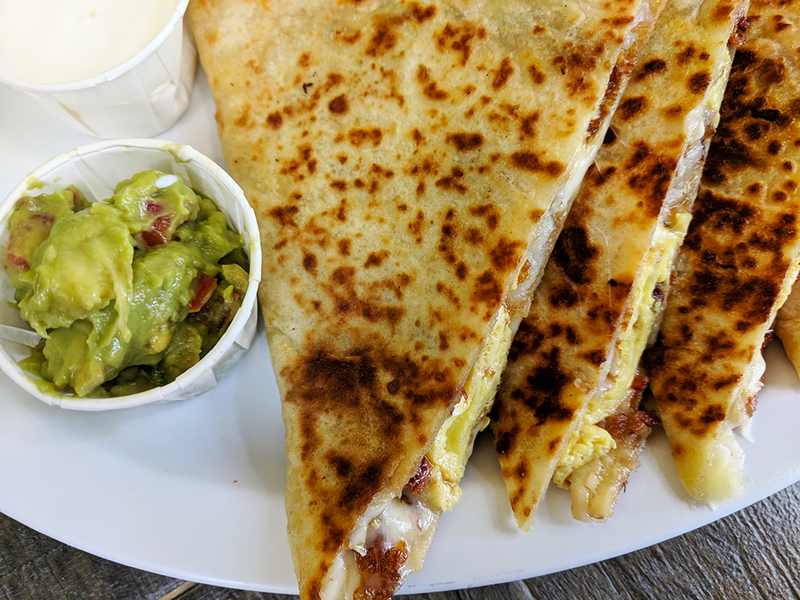 A simple food, the standard quesadilla is a combination of either two corn or flower tortillas or one folded over with cheese and other fillings in the middle. Once it is fried or toasted, it finally becomes a full quesadilla: Golden, Gooey and delicious. The name is derived from the word “queso” which is Spanish for cheese. Now, we can tell where the named came from but when, where and how did we start eating these lovely meals? The origins of the corn tortilla are very, very hard to track down but it is known that they do pre-date the arrival of the Spanish to Mexico by quite a bit. Maize was a major staple in the ancient Aztec diet and was used to develop masa, the dough that would end up being the foundation for tortillas. In 1519 the Native Mexican populations were greeted to the Spaniards, led by Hermando Coretz, and the new arrivals noticed this flat maize bread was different than what they were used to from the Old World. It was called “tiaxcalli” by the native Nahuatl population but the Spanish eventually established it as “tortilla” (little cake) and added some meat to it that would ultimately form the early quesadilla (turnover style foods were very popular in Medieval Spain). Prior to the arrival of the Spanish, meat in quesadillas was rare as meat in general was consumed far less but with this addition the Old World and the New World were brought together and created a brand new, delicious meal. In time Dominican Monks would introduce Oaxaca cheese to Mexico and create what would be the cheese of choice… for a time. As the world evolved, so did the base of the quesadilla. To meet the demands of major cities, grain was used to create flour tortillas, which would become one of the default options when it comes to quesadillas. With their expansion far from slowing down, new types of cheeses were utilized as the food reached new regions, especially in the Southwestern U.S. where Monterey Jack, Cheddar and Colby Jack cheeses became the dominant filling. The journey never ceases though, and Benny’s has some quesadilla options that’ll make your mouth water. 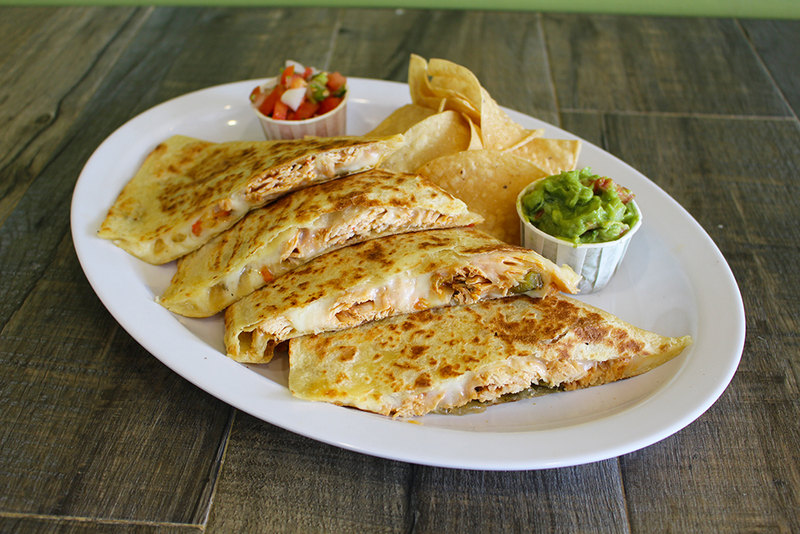 Here at Benny’s Tacos we serve some of the best quesadillas across Los Angeles! 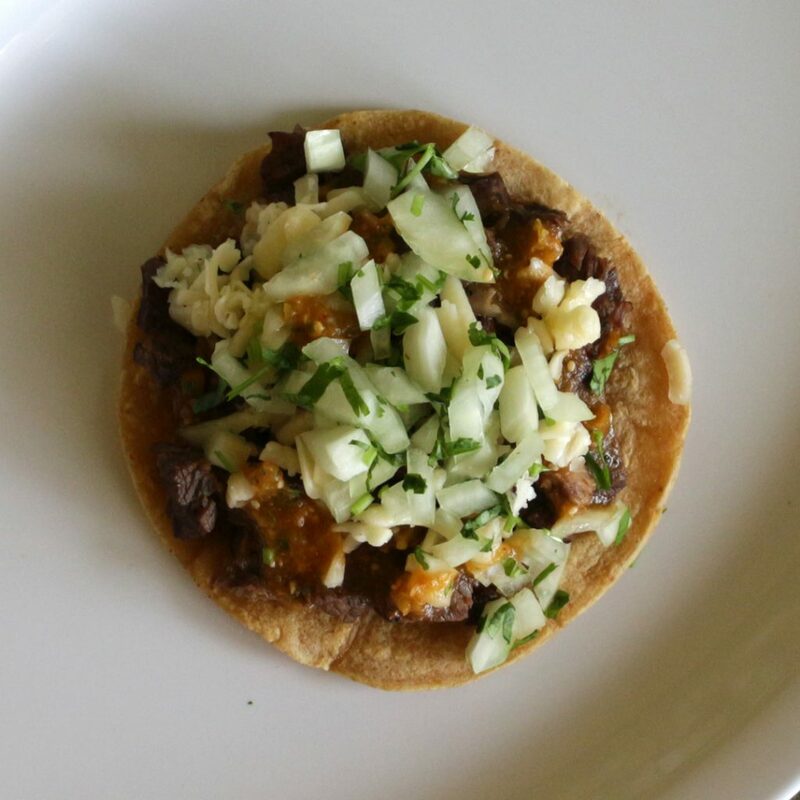 They’re served with flour tortillas, jack cheese and caramelized onions with poblano chilies. 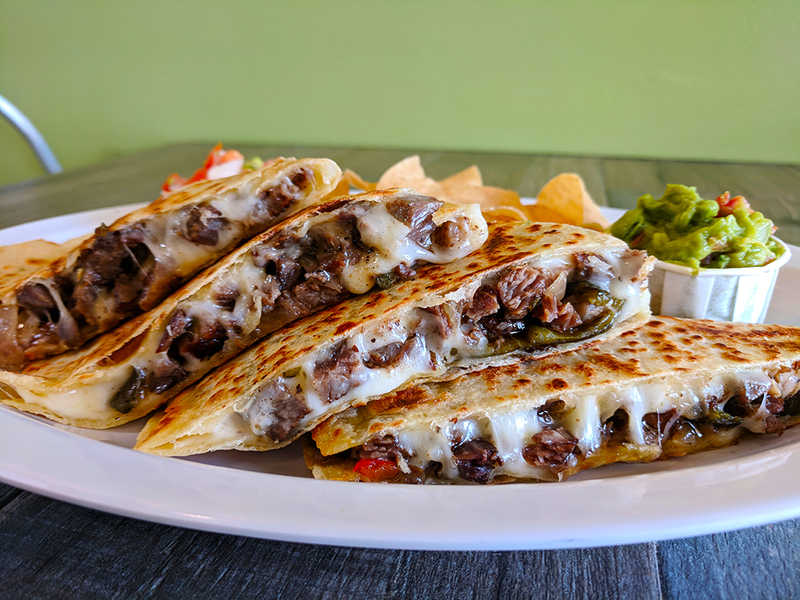 Some of our options include the delicious veggie quesadilla with grilled veggies and mushrooms, two types of chicken quesadillas (rotisserie and chipotle), and of course the carnitas, carne asada, and shrimp quesadillas. Most restaurants have their own spin on the formula and while we have our strong base of ingredients we also make sure you have plenty of meat and cheese to go around. These quesadillas will get you full! So drop by today and enjoy a food that is the perfect mix of old and new, and has come a long way since it’s early inception. Quesadillas are here to stay, and we plan on delivering the best! Follow us on Facebook or Instagram for regular pictures of Quesadilla goodness and some great deals! Mexican take out handily reigns supreme over all other forms of take out! Okay, so we may be a tad bit biased here at Benny’s Tacos Chicken and Rotisserie but we do have a pretty good case to back this up. Sure, we can directly compare ourselves to those other forms of take out but we believe there are some truly fundamental reasons that make Mexican take out the best take out! So let’s take a deep dive to why you should make a point to pick up some solid Mexican food when you’re feeling your hunger levels rise. One of the great things about Mexican take out (Mexican food in general, really) is that it’s often times meant to feed a lot of people or feed one person REALLY well. Who has gotten a giant burrito only to cut it in half or let someone have the unfinished portion? 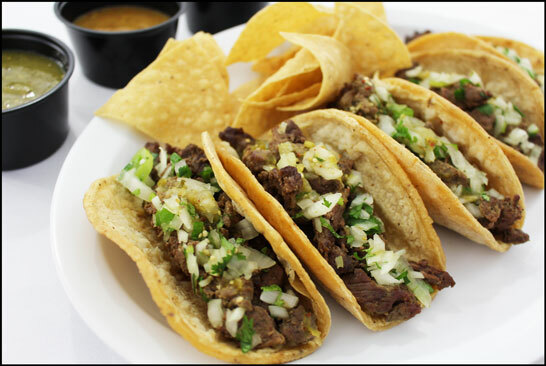 Tacos are inexpensive enough to where purchasing numerous ones in different styles is a very reasonable option. One order of nachos can feed three people on a Saturday night sitting around trying to figure out where to go next. The sensation of coming home with something to eat that feeds everyone is a wonderful one, and it being generally affordable compared to other options is a huge bonus. Mexican food allows you to do more with less and there’s usually something for everyone. …We know a great place that does Mexican Take out (Hint: You’re on the site right now). Benny’s offers a variety of options on our menu, so everyone can find something they like. 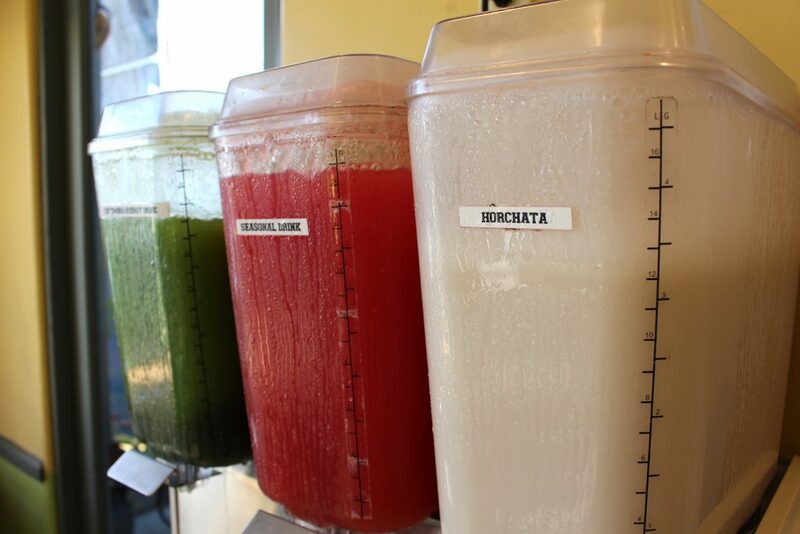 Benny’s Tacos and Rotisserie does dine-in, to-go, Uber Eats and all kinds of other orders so you can have your fantastic Mexican food anyway you like it anywhere you like it. Feed your family, feed a friend, feed yourself or feed a stranger, whatever way you want to do to do it we can help get the food where it needs to go and make for a wonderful dinner anyone can enjoy. Follow us on Facebook and Instagram for a up close look at some of our best eats and come by any of our three locations (Santa Monica, Culver City, and Westchester) when you’re feeling hungry, we got you covered! Tacos are simple and picky-eater friendly; making them one of the most sought after meals. You can even customize them to be more health conscious. Rather than compiling a huge list of healthy taco ideas, we decided to compile 5 healthy taco ideas you can begin eating or cooking today. Breakfast Taco: Equipped with a strong foundation – scrambled eggs and chorizo – this dish will certainly pump you with early morning energy. Add in the black beans (more protein) and caramelized onions for flavor and voila! You are ready for the day! Carnitas Taco: Did you know that Carnitas, or slow-cooked pork, is full of Vitamins A and C? Our Carnitas Tacos are topped with avocado and onion-cilantro which makes for a fresh contrast to munch on around lunch or dinner time. 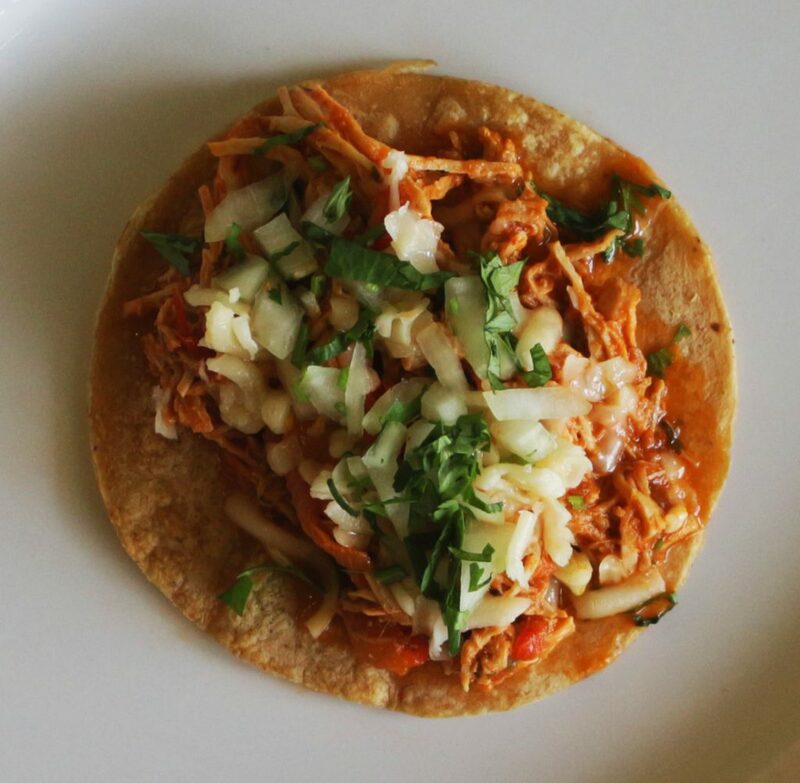 Chipotle Chicken Taco: Our shredded chicken mixed with a red sauce and a salsa queso fresco will give you the flavor bomb you need. However, is all that sauce healthy? Maybe not, so don’t be afraid to add in a few delectable veggie toppings!. Grilled Fish Taco: Calling all seafood lovers! 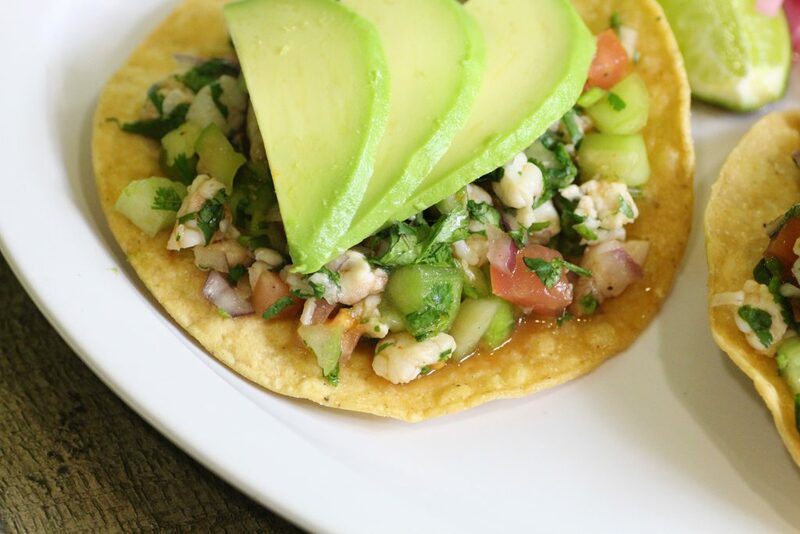 Cabbage salad, avocado and pico de gallo will top off your grilled Mexican Bass taco for a light, crisp finish in each bite. It’s the perfect entree for a hot day! Grilled Veggies Taco: Zucchini, yellow squash, onions, bell peppers, mushrooms, lettuce, avocado, salsa and jack cheese. What more could you ask for? Whether you’ve given up meat entirely, or you’d just like to try something new, this is the taco that should be on your 2018 bucket list! Don’t feel like cooking? It’s cool we get it. Be sure to stop by one of our locations if you are not in the mood to cook your own batch of tacos. To expedite the moment your mouth meets our tasty grilled meat tacos, be sure to call in your orders before stopping by one of our locations. Be sure to like our Facebook Page and follow us on Instagram.